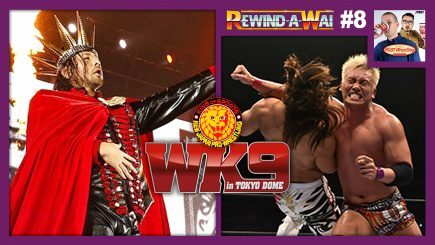 John Pollock and Wai Ting review NJPW Wrestle Kingdom 9 featuring Hiroshi Tanahashi vs. Kazuchika Okada in Okada’s quest to finally defeat Tanahashi in the Tokyo Dome. Plus, Shinsuke Nakamura vs. Kota Ibushi in a match that topped many 2015 Match of the Year lists. 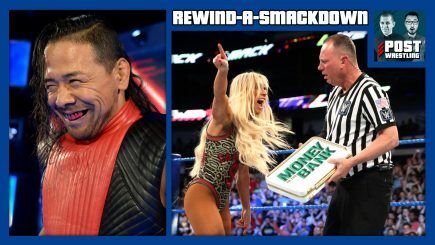 A new SmackDown General Manager is announced, Daniel Bryan faces AJ Styles as a newly heel Shinsuke Nakamura lurks, an NXT duo makes their debut, and Carmella cashes in her MITB contract. 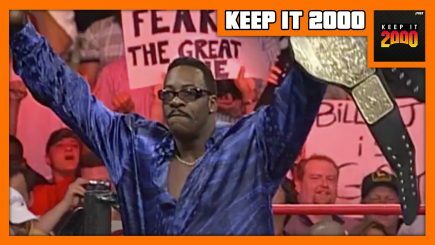 We also discuss 205 Live, NXT TakeOver: New Orleans and WWE 24: Raw 25. 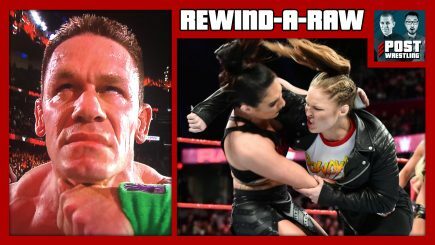 It’s the biggest Raw of the year featuring all the fallout from WrestleMania 34, a heartfelt retirement speech from Paige, a number of wrestler returns, NXT call-ups and more. Moments after attending the show live, John Pollock and Wai Ting review WWE WrestleMania 34 directly from the parking garage of the Mercedes-Benz Superdome in New Orleans. John and Wai give you a complete rundown of the show and share their experience watching it live. 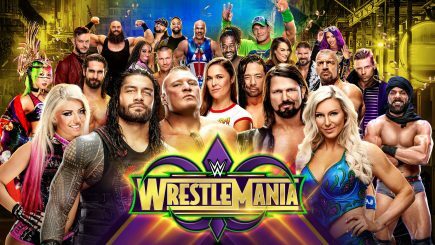 Live coverage of WrestleMania 34 from John Pollock at the Mercedes-Benz Superdome with Brock Lesnar vs. Roman, Ronda Rousey and Kurt Angle vs. Triple H & Stephanie McMahon, AJ Styles vs. Shinsuke Nakamura, and the return of Daniel Bryan. 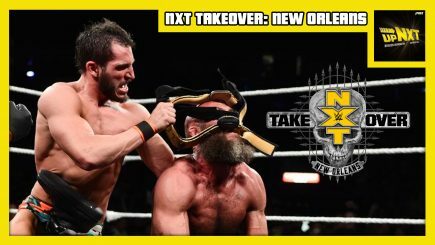 Braden Herrington is joined by friend of POST Wrestling Davie Portman, who reports live from NXT TakeOver: New Orleans! 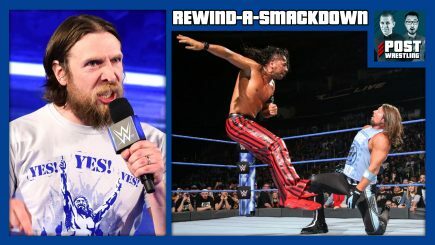 They review the entire card including the insane 6-way ladder match, new champions crowned, an Undisputed Era swerve, and the fantastic storytelling of Johnny Gargano vs. Tommaso Ciampa in the main event! Day 3 of John Pollock and Wai Ting’s WrestleMania 34 road trip in New Orleans is highlighted by a full review of ROH Supercard of Honor XII featuring Kenny Omega vs. Cody. Plus, the day starts off with PROGRESS Chapter 67 featuring a spectacular match between Zack Sabre Jr. and WALTER. Follow John Pollock and Wai Ting as they spend their day in New Orleans watching Friday afternoon’s RevPro event featuring Zack Sabre Jr. vs. Tomohiro Ishii, followed by the WWN Supershow featuring a spectacular match between Will Ospreay vs. Matt Riddle, and stay up with them until 4am for the incredibly bizarre experience that was Joey Janela’s Spring Break 2. 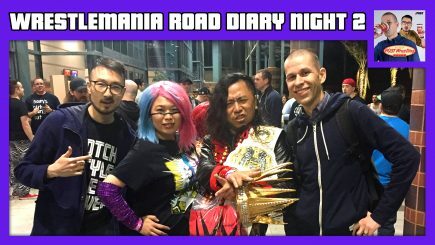 John Pollock and Wai Ting discuss their first couple days in New Orleans for WrestleMania 34. We review Matt Riddle’s Bloodsport, give our honest critiques of our show at WaleMania and look ahead to Friday’s events in New Orleans. 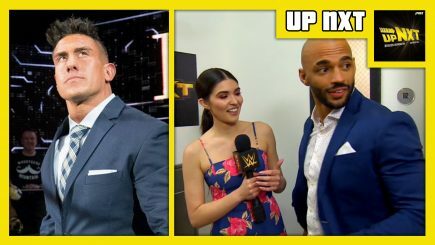 Braden Herrington and Bartender Dave review the “go-home” edition of WWE NXT before NXT TakeOver: New Orleans. They give their predictions for WrestleMania/TakeOver, discuss possible call-ups, fantasy book NXT post-’Mania, take your feedback, and more! 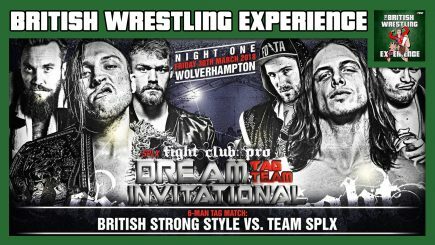 Martin and Benno are back to talk Fight Club: PRO “Dream Tag Team Invitational 2018”, Progress Chapter 65: “Have Some Faith In Sound” (WALTER vs. Rampage Brown) and Bad Bones’ suspension from wXw. They also chat recent signings for WWE UK, NJPW announcing two shows in the UK, Will Ospreay vs. Marty Scurll, and a preview of all the UK promotions putting on shows in New Orleans for WrestleMania weekend. 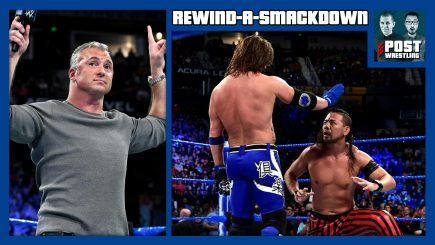 The final episode of SmackDown leading into WrestleMania 34 features the return of Shane McMahon confirming his partnership with Daniel Bryan, Shinsuke Nakamura and AJ Styles continue sharing “mind games”, and Carmella fails another MITB cash-in attempt. Plus, Charlotte meets Asuka in the MMC finals and another spectacular match from 205 Live. 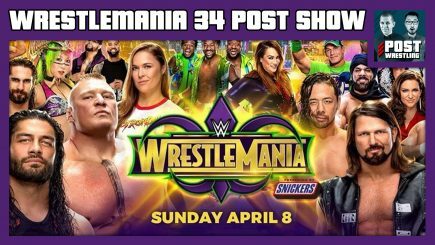 It’s the WrestleMania 34 go-home show with Ronda Rousey & Kurt Angle in a press conference with Stephanie & Triple H, Roman Reigns and Brock Lesnar in what may have been Brock’s final Raw appearance, and John Cena trying to summon The Undertaker one last time. 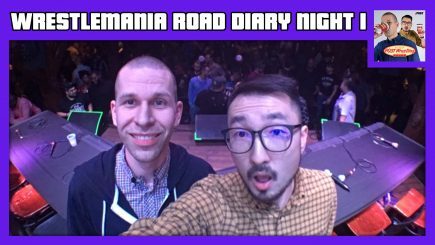 Plus we discuss everything coming up for us this week down in New Orleans including WaleMania and our “Road Diary” podcasts for POST Wrestling Café patrons. 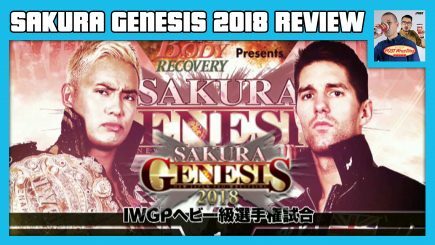 John Pollock and Wai Ting review NJPW Sakura Genesis 2018 from Ryōgoku Sumo Hall featuring Kazuchika Okada vs. Zack Sabre Jr. as Okada attempts to to match Hiroshi Tanahashi’s all-time record for consecutive IWGP Heavyweight title defenses. Also featuring The Golden Lovers vs. Cody & Hangman Page and Will Ospreay vs. Marty Scurll for the IWGP Jr. Heavyweight title (featuring one of the scariest bumps we’ve ever seen). 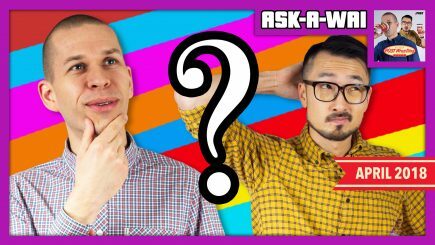 John Pollock and Wai Ting answer any and all of their patrons’ questions from the POST Wrestling Forum. More than 45 questions covered in this 2 hour podcast! 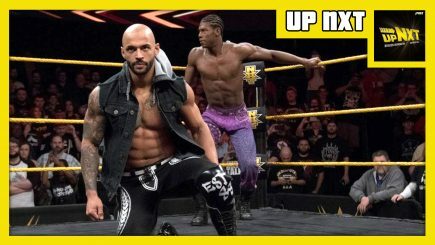 Braden Herrington and Bartender Dave are back as they review this week’s episode of WWE NXT, including the “debuts” of EC3 & Ricochet, the announcement of a new NXT title, the semi-finals of The Dusty Classic… plus your feedback, and more! Daniel Bryan officially challenges Owens & Zayn to a WrestleMania match, an update on Shane McMahon’s condition, Shinsuke Nakamura plays mind games with AJ Styles, Rusev enters the United States championship match and The New Day return to face The Bludgeon Brothers. John Cena mimics The Undertaker, Ronda Rousey tosses around Absolution, Stephanie and HHH show off their training in their own UFC-style hype video, Brock Lesnar lays out Roman Reigns, Sasha and Bayley’s rivalry turns physical.